Infants, or more colloquially known as babies, are unarguably the cutest creatures in the whole world. Which is an odd thing to say because we were all babies at one point. Now, to steer away from the obvious, multiple studies have shown that a person’s behavior can be attributed to how he or she was nurtured and treated when they were still young. Positive reinforcements to the young can have a great positive impact on their personality throughout their life. There are a lot of things that you can do to nurture and care for them, but do not forget to educate them as early as possible. No matter how trivial the lesson may be, it can have a good impact on your child’s future. With all that said, read up and study on some of these plans made specifically for young children who are still their emotional, mental, and social beings. 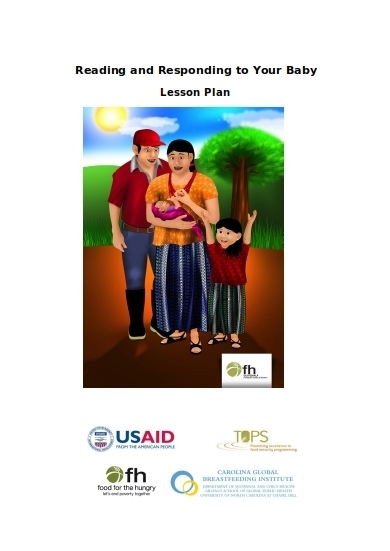 This extremely helpful and thorough lesson plan can be your guide for a whole year. 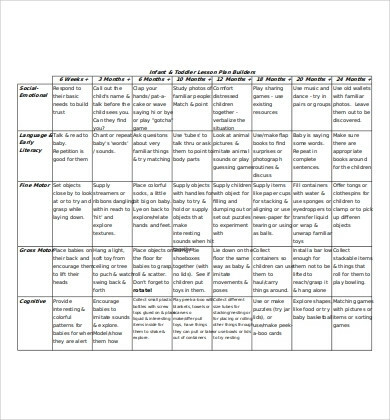 Just gather up the necessary materials you will be needing according to this lesson plan, and you are worry-free of the things to do and teach for a full year. Have fun with it, and your child will surely come out as a smarter, more wonderful kid next year. This lesson plan is pretty comprehensive. Refer to this for some language, emotional, cognitive, and other development activities you can prepare and do for your young one. This lesson plan will also encourage them to get in touch with music and arts at such a young age. Who knows, you may be raising the next Beethoven or the next Van Gogh. This lesson plan emphasizes the importance of some social norms or acts of kindness. There are also exercises for certain talent developments. 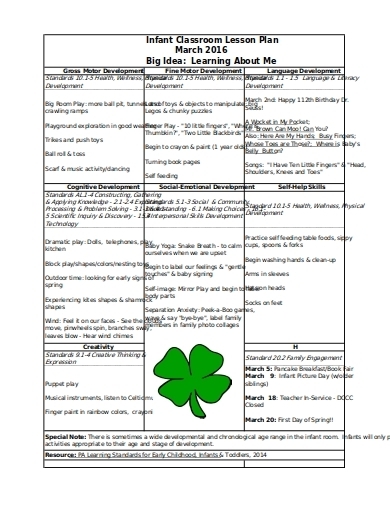 Your child may have an innate talent or personality you can hone and improve by using this lesson plan as early as now. Not only that, but this can also teach them to be more respectful, patient, and kind. Having a talented and respectful kid means you are doing something right. This lesson plan will teach you how to react accordingly to your child’s behavior in order to respond and interact with them appropriately. 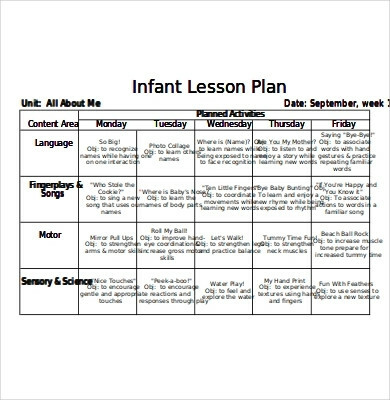 This lesson plan is highly important because if you want to be able to teach your child certain things, you are going to want to know how to interact with them in such a way that they fully comprehend you first. Get through that, then follow the certain things you do to exercise your child’s current behavior for the sake of his upcoming years. 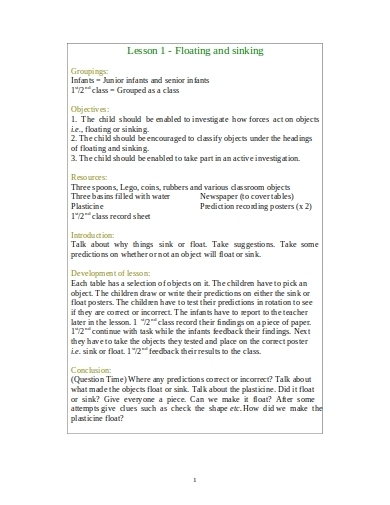 This is a lesson plan with specific things to teach, such as why things sink and float, and how shadows work. Are these things your child needs to learn right now? Who knows? But knowledge is power and we should not underestimate that. Besides, you get to play with cool toys for demonstration. 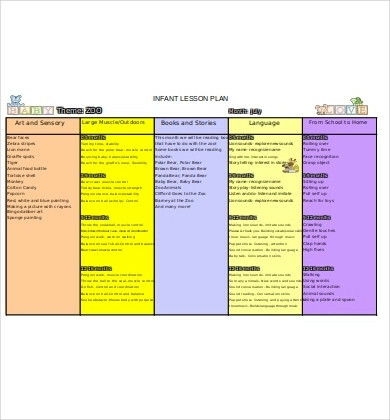 This lesson plan is not only a good learning opportunity for your child but also a great way to bond with them. 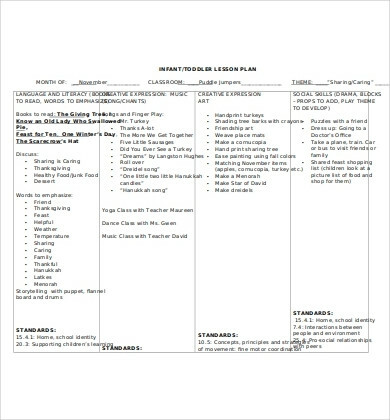 This is a lesson plan you can adhere to on a weekly basis. Things such as literature, math, arts, sensory, and motor developments are tackled here. If your child does well with this lesson plan, congratulations. You may have a genius for a child. 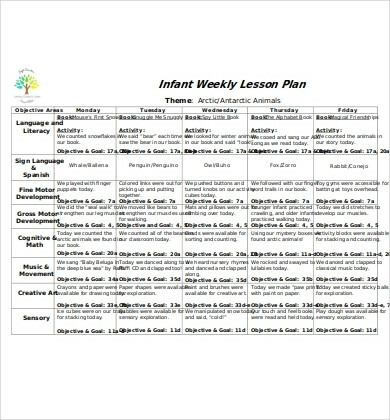 This lesson plan with a cute-looking theme aims to educate your child with the help of adorable zoo animals. You will be tasked to read your child certain books, have them listen to some songs, and teach them the names of some animals. Social and emotional exercises are also tackled here. This weekly lesson plan is currently blank. 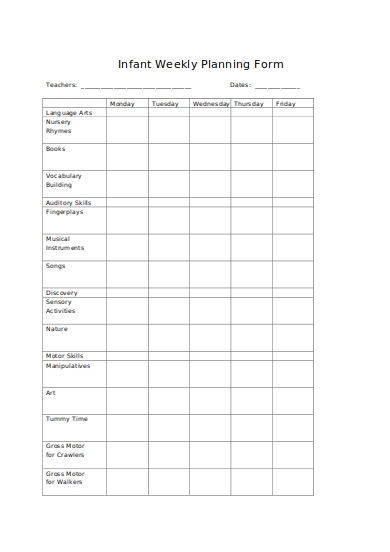 You now then have the complete freedom to fill this up with the lessons you want to teach your child. You can either look it up online, follow some of the ones here, or completely base it on your own experiences and intuition. Either way, the things your child will be learning at this point is all up to you. Decide well and good luck. This lesson plan is broad enough that it teaches almost everything you need to exercise for your child’s well-being and future. From social and emotional exercises, fine and gross motor exercises, to music and the beauty of stage play, this can be your one-stop shop for your child’s early education. 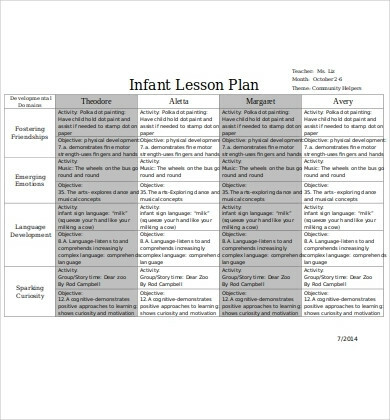 This particular lesson plan focuses on preparing and educating your child on how to be a proper and beneficial member of the community. Communication exercises, emotions, and friendships are some of the things that are discussed here. The lessons also differ from each other, as each will cater to a different child depending on behavior and personality. Educating your children at such a young age is beneficial. If you did well with raising your child early on in any aspect, that child will grow up to be a proper lady or a kind gentleman. Teaching should also be fun too. So take this opportunity to teach your child music and arts and language, and so many more while also bonding with them emotionally throughout the process. These young, adorable kids, at this age, are fragile and naive. Be careful with how you talk and what you tell them. And of course, do everything with love. Your child will reciprocate that love in the years to come.